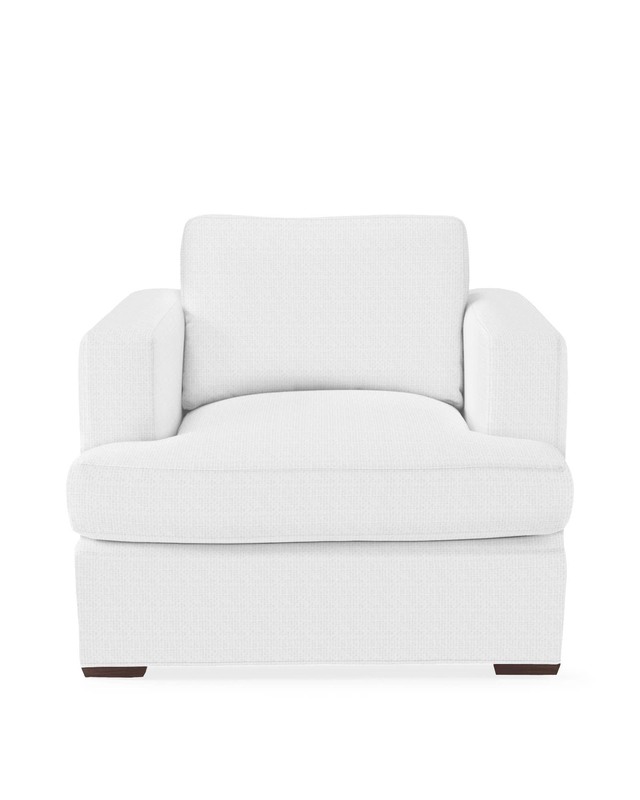 Norfolk ChairNorfolk Chair, alt="Norfolk Chair, "
Print The look is refreshingly unadorned, but a deep seat and sink-in comfort make this a rather luxurious way to lounge. The track arms have a modern sensibility and wide proportions that give the silhouette substance. T-shaped seat cushions add a nice design detail. Resilient 8-way hand-tied steel coil springs in seat for long-lasting comfort. Woven webbing creates even suspension and support. Solid wood legs are finished with water-based stains to help protect your health and minimize environmental impact. 37”W x 41”D x 33”H overall. Seat: 24”W x 26”D x 17”H.